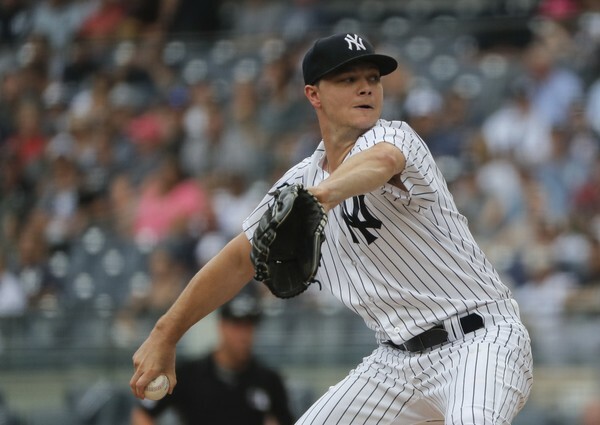 A trade is not imminent, but the San Diego Padres and New York Yankees have been discussing a Sonny Gray deal this winter. If he came to San Diego via trade, would that help the former all-star regain the form he once displayed in Oakland? There have been several rumors that the San Diego Padres are trolling around looking for starting pitching. The team has already been linked to Noah Syndergaard on several occasions, though a deal seems unlikely as the Padres do not want to break up their farm system just yet. The team is not opposed to dealing prospects, but it must be the correct group of players, and the return must dignify trading talented players who could blossom into legit major leaguers. The New York Yankees and San Diego Padres have made several deals in the past few years. The Padres acquired Bryan Mitchell, Chase Headley, and Jose Pirela from the Yankees in the past few seasons, so you have to figure that the Padres are due for some good luck. Thankfully, in acquiring those three players, the Padres only gave up Ronald Herrera and Jabari Blash to the Bronx Bombers. Recent news has the Padres inquiring to the Yankees about starting pitcher Sonny Gray. 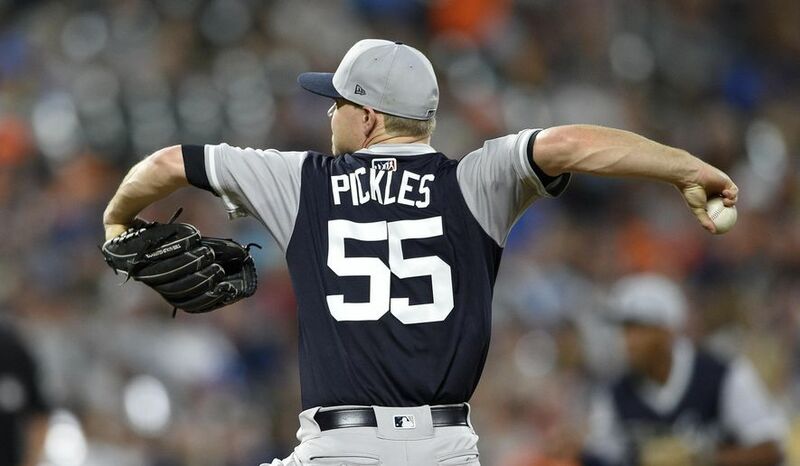 The former Oakland Athletic’s starting pitcher was acquired by New York to be a top-of-the-order presence, but failed to pitch well in New York. It is thought that, like many hurlers before him, the large media market of New York was too much for the native of Tennessee. He could perform better in a tamer environment. San Diego is a much softer place to play, so the thought process is that Gray can get back to the all-star form he once showed in Oakland. As an Athletic, Gray was 44-36 with a 3.42 ERA and a 1.20 WHIP and named to the AL All-Star team in 2015, when he was 14-7 with a 2.73 ERA in 208 innings pitched and 31 starts. He was productive and viewed as a potential ace-like pitcher. He may never reach that ceiling, but he could be serviceable. So what would the price tag be for Gray? The Reds have shown some interest and there were reports the Yankees asked for Jeter Downs, who is the Reds’ #7 prospect. Obviously that went nowhere, as Gray has little value and only has one year of control left. He is a one-year rental for 2019 and his price tag should reflect that. The Yankees asking price will come down when push comes to shove. I have seen a rumor where the Yankees asked about Luis Torrens. That makes sense on many levels. Torrens was drafted by the Yankees and taken by the Padres in 2017 via the Rule 5 Draft. He played last year in Lake Elsinore and furthered his advancement, but the Padres are stacked at the catcher position presently. Torrens would be a loss for the farm system, but Gray has an enticing value to him. The trade would be more than Torrens for Gray, but that is an excellent starting point for the two sides. Can Sonny Gray regain some of the magic he had in Northern California? Darren Balsley can definitely help, that is for sure. The comfort of pitching in San Diego and in a home ballpark that is favorable could also be a huge benefit for the right-handed pitcher. As a San Diego Padre, Sonny Gray has arguably his best chance to reestablish himself in the game of baseball. The 29-year-old is still young enough to improve. The real question is – do the Padres value Gray, and are they willing to pay the price, even if it is at a discount? Agree with the author that Sonny Gray is a solid buy low candidate. But not agree on the fit. Why would SD give anything of value for a guy who will walk at the end of the year and pay him $9m+ this year? It’s not like he will make a difference next season nor is he someone who can mentor the young SP’s. Only way this should happen is if AJP thinks they can fix him and trade him at the deadline for something better than they gave up, or if it’s some sort of salary relief. They should aim for controllable players that will be in SD by the time rookies are ready. If not, give a chance to the young guys and see what they can do. Great buy low candidate with possible #3 SP upside! We shouldn’t have to give up to much to take him off the Yanks hands? They clearly don’t want him.